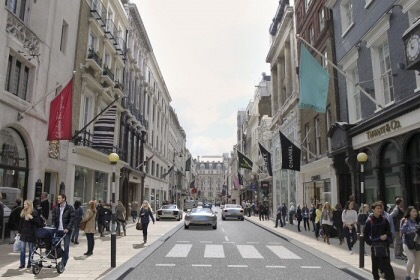 The amount of retail space under construction in London in the next five years will increase by the combined size of Bond Street, Oxford Street and Regent Street according to a new report. Figures from CBRE’s latest In Retail report reveal that planning permission has been granted for a total of almost eight million square feet of new shopping space across London in zones 1 and 2. Almost three million square feet will be within three retail-only developments at Croydon, Westfield London and Brent Cross. They will account for 1.5 million, 698,000 and 592,000 square feet respectively. The remaining five million square feet has been given permission to be built across 30 sites in the so called ‘London Halo’ of zones 1 and 2. Hugh Radford, chairman Central London Retail at CBRE said: “London will see 1000,000 new residents arriving every year with another 1 million forecast to want to live in the capital by 2025. These new Londoners will need places to eat and places to shop. Posted on December 18, 2015, in Other. Bookmark the permalink. Leave a comment.